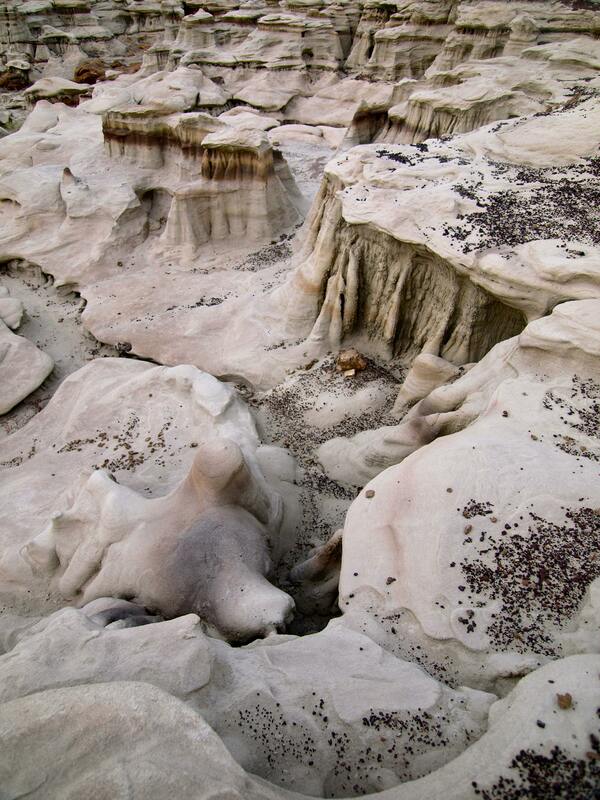 On the Road, Again: Bisti Badlands! I am free! 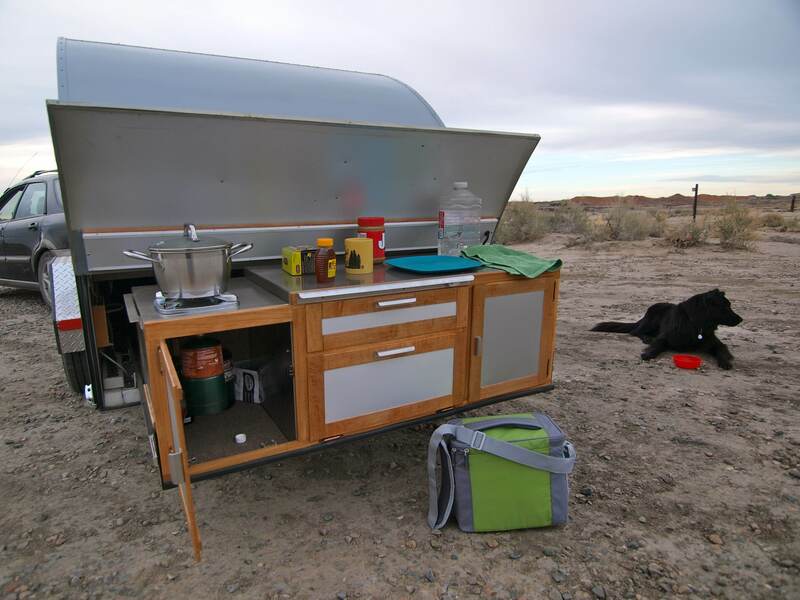 I’ve been on the road, Teardrop trailer in tow, for three days now and it’s just starting to sink in how truly at large in the world I am. I can go anywhere, any place, any direction, stay as long as I’d like, and sleep every night in my very own bed! 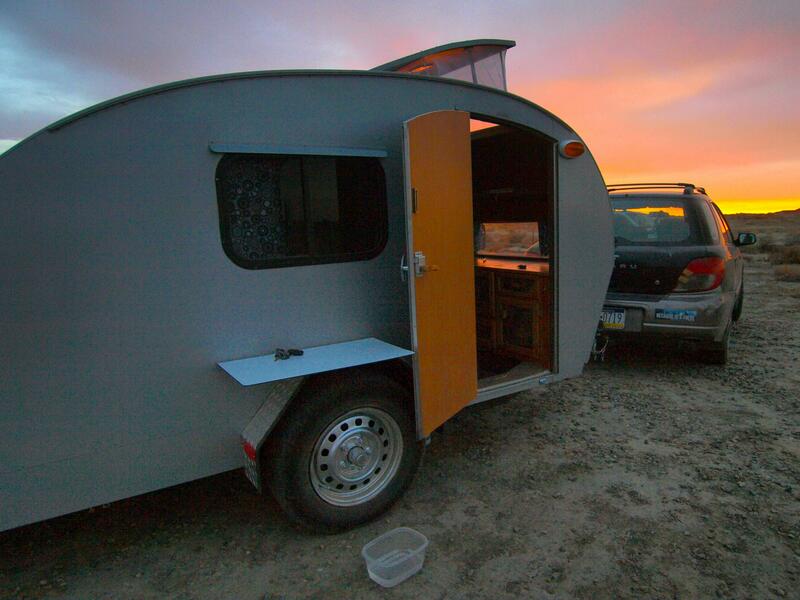 The Teardrop is the best idea I’ve ever had! Fitting that I spent the first night out on the road at the Bisti Badlands Wilderness. 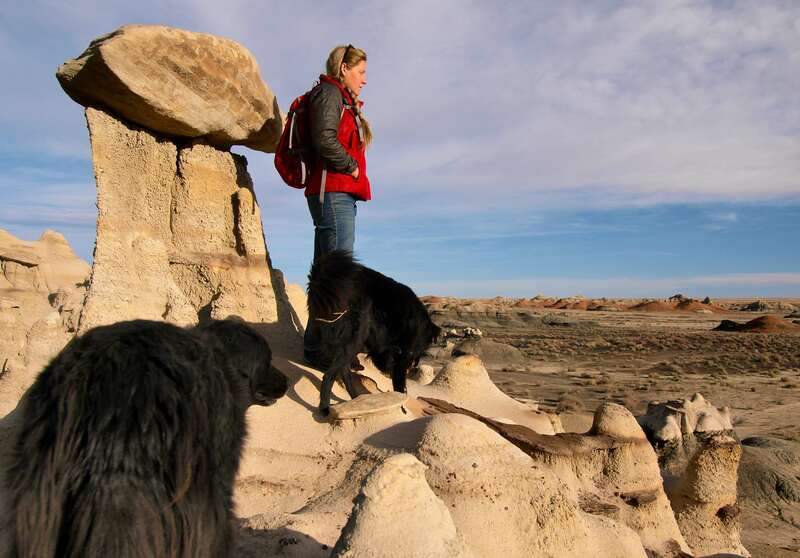 Bisti has no trails, and no maps; this is a place for wanderers. It’s also one of the most geologically exotic landscapes I’ve ever seen. From the parking lot, you just head east, into what looks like an ordinary arroyo. 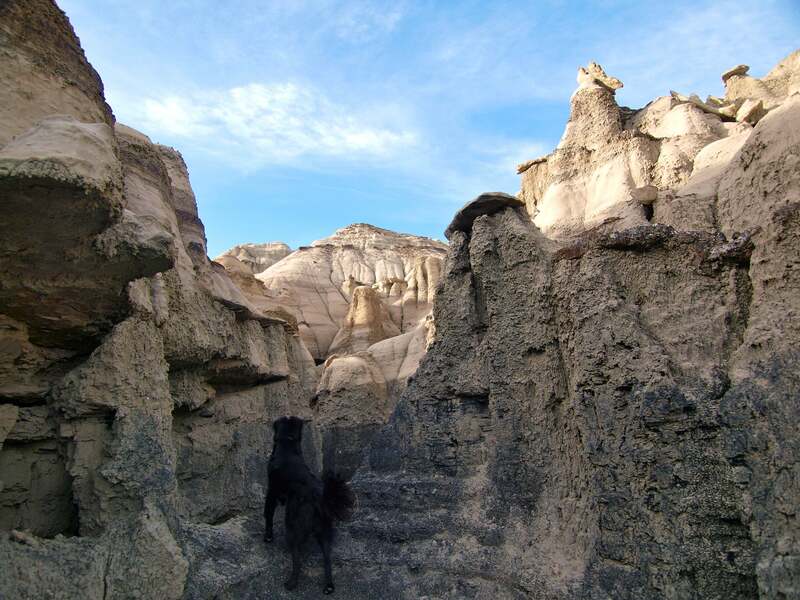 In less than a mile, you’re on another planet, a place of hoodoos, mushroom rocks and dinosaur bones. Big Bone. No idea if it’s a dinosaur, but this place is well known as a Hadrosaur graveyard. Making dinner in my new kitchen! I’m now in Colorado, heading to Mesa Verde and Hovenweep National Monument. Stay tuned for more! 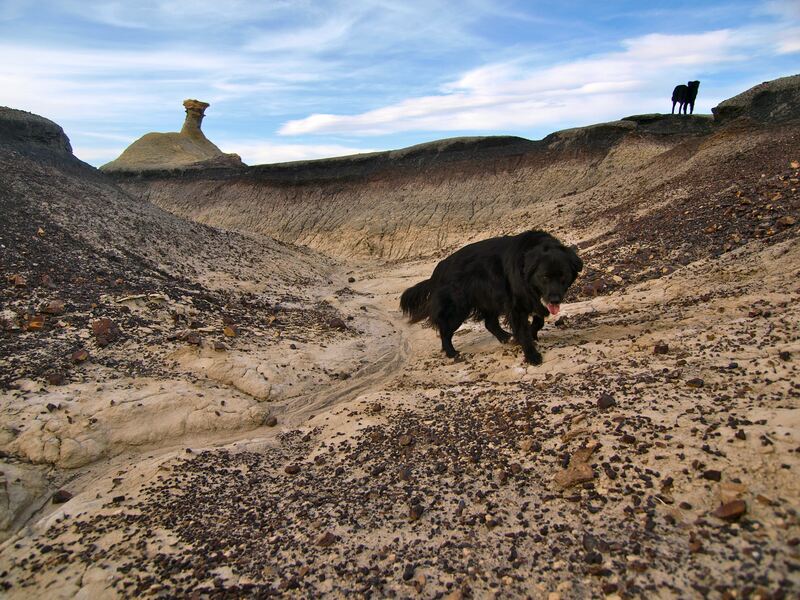 This entry was posted in Bowie & D.O.G., Hiking!, New Mexico, Photography, Road tripping!, Uncategorized, Vagabonding 101. Bookmark the permalink. 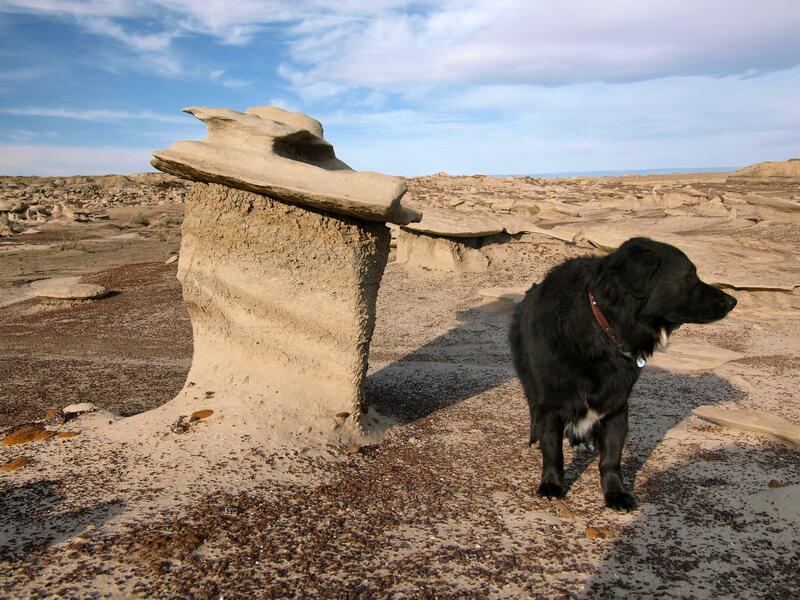 6 Responses to On the Road, Again: Bisti Badlands! Wow, is that different! Kind of looks like the moon surface. Happy Easter on the Road! That is now on my bucket list of places to visit. 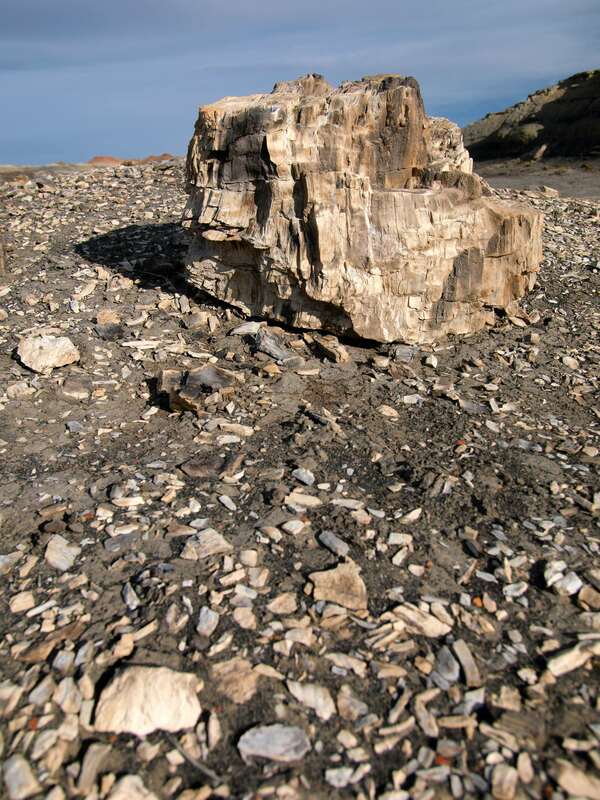 At the risk of sounding stupid, how do you know these stones are fossils? They, uh, look like regular ol’ rocks to my unpracticed eyes. Teardrop looks fab. Is it comfy in the sleeping area? Do your dogs hop in too? Look at the Fossilized Bone photo- do you see the honeycombing in the middle? That’s a sure sign of a fossilized bone! 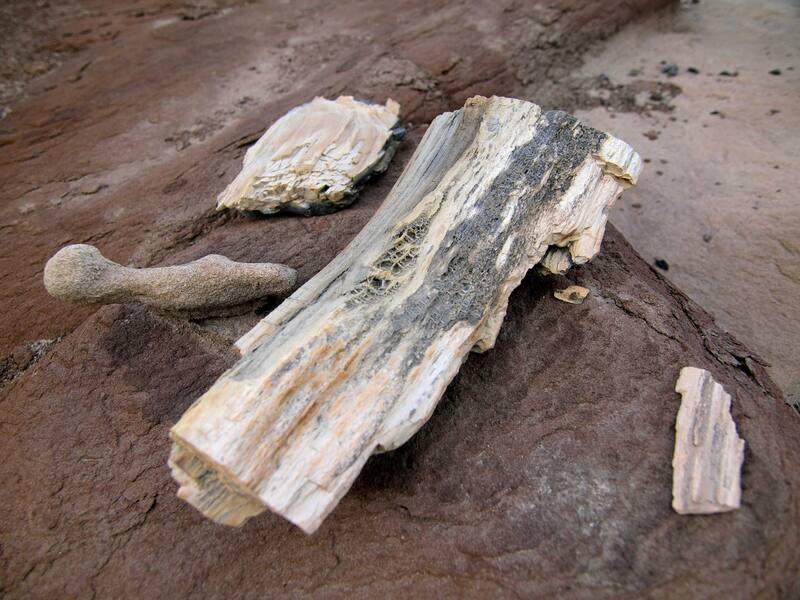 If you look closely, you can see the cell structures, which have been replaced with minerals during fossilization. Bowie loves old bones, but he wasn’t at all interested in the fossils- they’re just rocks to him! I just sent my husband a link to your blog, asking him when we could go!